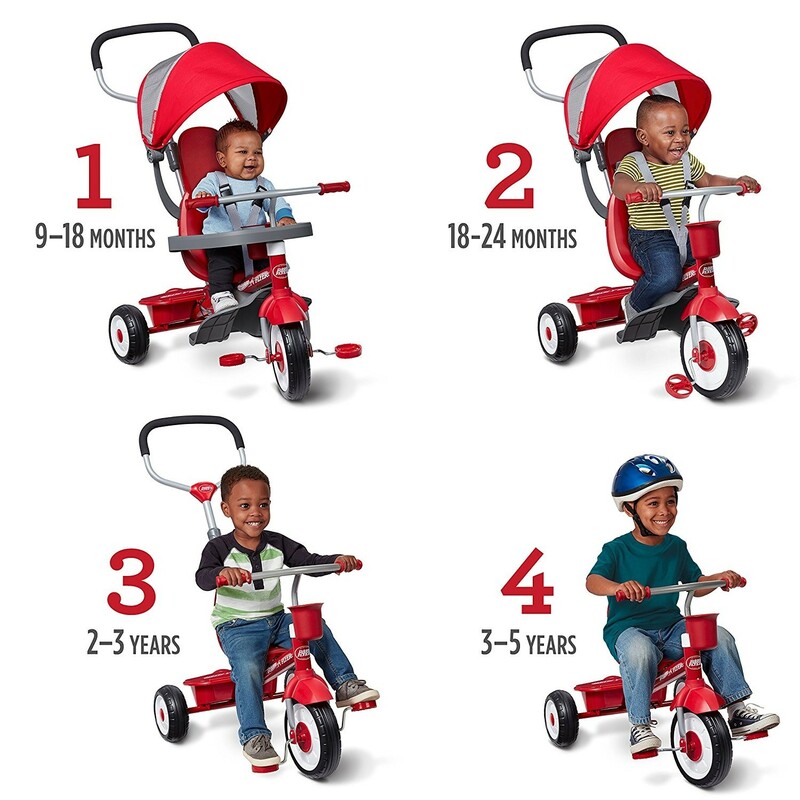 The ultimate grow-with-me 4-in-1 trike, it converts from a stroller, to a steering trike, a learning-to-ride trike and finally a classic tricycle. 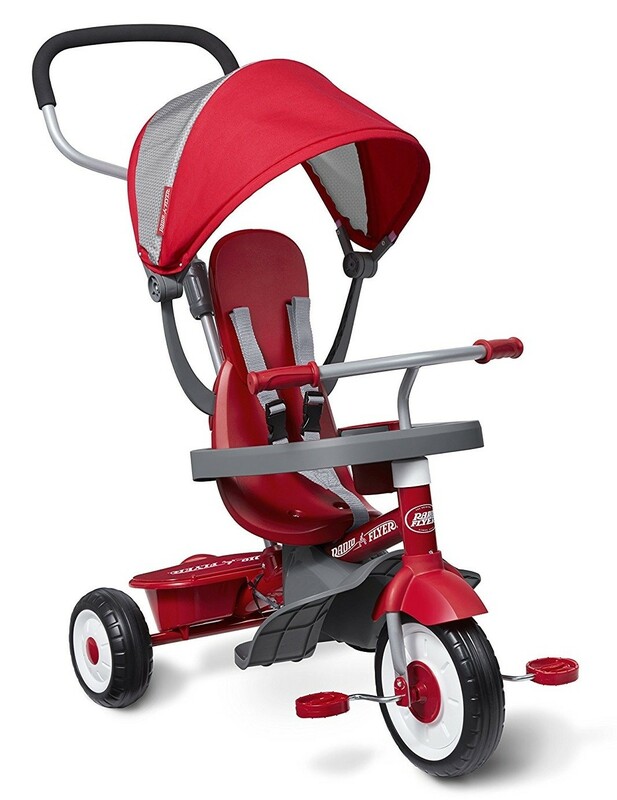 For little riders, it has a removable wrap around tray with cup holder for child's protection, a removable 3-point safety harness, and an adult steer and stroll bar that adjusts for comfort. The pedals convert into footrests for the child's comfort when she's being pushed and it has a comfortable and removable headrest that provides neck support. As your child gets bigger, the seat adjusts to grow with your child and a unique roller-style canopy provides protection from UV rays. It also has a covered bin for parent or child storage. 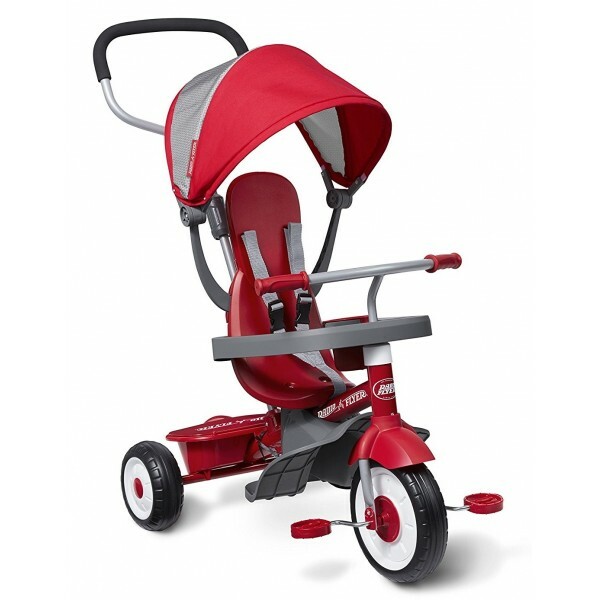 With sturdy steel frame construction it can hold children up to 49 lbs. and is suitable for children aged 9 months to 5 years.